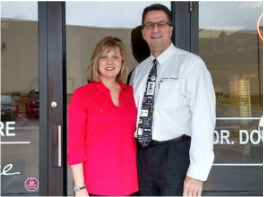 Welcome to Hocking Eye Care, your Vision Source provider. We at Hocking Eye Care pride ourselves on providing each patient with quality vision solutions and exceptional personalized attention. Our professional and personable staff is highly trained in helping you achieve and maintain healthy eyesight along with helping you select the frame and lenses to suit your eyewear needs. If contact lenses are your choice we offer many brands and colors along with custom hard to fit. Fun, fashionable sunglasses will provide protection from harmful UV Rays. We are constantly advancing in the latest state-of-the-art equipment maintaining a superior level of care in diagnosing and treating cataracts, glaucoma, diabetes, eye infections along with eye health concerns. We believe that healthy eyesight is vital to a high quality lifestyle and we are committed to both. Please give us a call to schedule your comprehensive eye examination. We look forward to "seeing" you soon!